In 1963 the SFX wizard Benjamin ‘Jim’ Hole was filming on the Spanish coast when he encountered stormy seas which turned his filming experience into a nightmare. It was during a visit in Malta one year later when Jim decided to build a shallow “horizon” tank for his next water-based film called “The Bedford Incident”. The tank was built with the aid of government subsidies offered by the British government which then ruled the island. 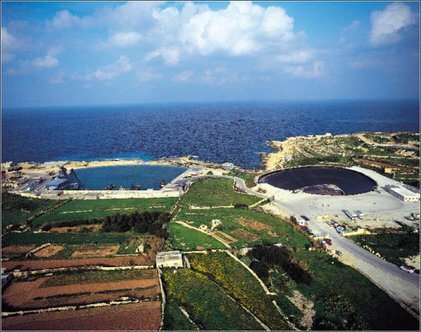 The tank was later kept in operation for other potential films and aka Malta Film Facilities or MFF was born. MFF hosted several large films and mini-series like “Orca the Killer Whale” and “Christopher Columbus”. In 1980 a second tank, this time concave-shaped, was built by British producer Lord Grade for the film “Raise the Titanic”. 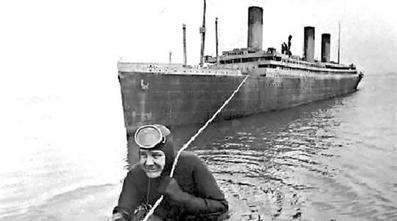 "Raise the Titanic" was a box-office failure but it left behind the Deep Tank which is unique in the world. MFF became renowned not only for its unique horizon tanks but also for its skilled construction workforce. Eventually MFF's name was changed to “Mediterranean Film Studios” or MFS. During it's first 30 years the company was managed by various government political appointees. Notably the most long-standing manager was the late Paul Avellino who quickly earned himself an international reputation. An aerial view of the Shallow Tank (left) and the Deep Tank (right). The tanks face N/E. In the mid-90’s the Maltese government, adhering to its policy for privatisation, decided to hand-over MFS to a Canadian businessman Charles J. Falzon. 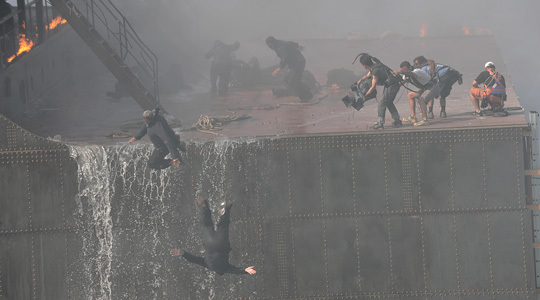 The mid-to late 90's also saw large films being shot at MFS such as “White Squall”, “Cut-Throat Island” and “U-571”. The privatization of MFS proved to be an important step for the company. However, the company’s overheads were increasing fast and becoming unsustainable against what was essentially still a very volatile and cyclical industry. The company had inherited over 40 employees from its state ownership and the tanks acted as the bank's security for the funding and creation of a failed movie theme park. This new enterprise was to break the camel's back. In 1998 the company radically downsized its management team. Local production manager Malcolm Scerri-Ferrante (founder of PCP) was appointed by Catalyst Entertainment Inc. of Toronto, the new owners of the studio, to head its production and marketing departments. In the two years that followed he introduced radical new policies and business practices. He fostered the inclusion of Maltese crew from the local TV industry and tapped into other resources such as Media Studies graduates from the local university in order to build a local film crew base that could work hand in hand with foreign crew. Until then hardly any Maltese enjoyed any key positions on film shoots and only a rare few were qualified "assistants". He also opened the studio's doors to the national press which helped with increasing public awareness about the enormous potential of the film industry and the urgent need for the political support for growth in the film industry. Meanwhile the year 1999 was to become the busiest year for MFS in what was then it's 35 year old history. It was so busy that one day actually saw two productions filming in the same tank, a CBS TV Series and a Belgian TV commercial. In the same year the industry saw the setup of the Malta Film Commission, following proposals made by PCP founder Malcolm Scerri-Ferrante to two prime ministers in 1996 and 1997. Helping speed up the process was the lobbying of producer Branko Lustig prior to shooting "Gladiator" in Malta. Despite these busy times, the financial debts of MFS proved to be too big to disappear overnight. The failed theme park, which had begun running at an operating loss, was finally shut down in 2000. At this same time German entrepreneur Jost Merten, who was then a minority shareholder of the theme park, become MFS's new owner as other shareholders relinquished their shares. Merten managed to keep the facility afloat for 14 years, amidst the occasional debate as to whether he should have invested in the studio's infrastructure. Truth be told, Merten managed to put MFS on its first financially viable path, a path it had not seen for many decades. Clients where overall satisfied with the production value achieved. In any case, the local 'debates' continued and these were not helped by Merten's exploration of the idea to turn one of the least used tanks into a fish farm so to minimise financial losses, an idea which he had dropped soon after studies were conducted. To add to the controversies, for many years Merten had looming over his head an unresolved case with government about ground rent. Rent had not been paid since the privatization of the facility in the mid-90's, before Merten took over. Various ministers and government administrations are said to have tolerated this accumulating debt in consideration to the fact that Merten was key to the survival of the facility and saving it from bankruptcy, which would have caused serious damage to the island's film servicing industry. In court Merten claimed to have offered a settlement plan years before he was slammed with a court case. But in 2014, after years of litigation, a judge ordered Merten to vacate the land. Upon taking over, the (new) government immediately set up a board comprised of successful businessmen with the remit to prepare a report about the commercial prospects of the tanks and land. The goal was to turn it into a first-class facility with at least one sound stage. The facility - now renamed Malta Film Studios - is currently being managed by the government as an interim measure until permanent investment plans fall into place. A public tender was issued in the fall of 2015 in accordance with EU regulations. As of May 2017 the studio is still being run by government.